In 1789 a group of sober-minded, concerned citizens set in motion a series of events which were to end up leading to the deaths of thousands of perfectly innocent persons. How did this reasonable movement of level-headed civic leaders spin out of control? At a glance, the French Revolution appears a bewildering series of political factions sweeping in and out of power, massacre and counter-massacre, terror and guillotine, and one economic crisis following another. Leo Gershoy, one of the 20th-century's most knowledgeable scholars on the revolution, has written a condensed version of his more famous work by the same name. 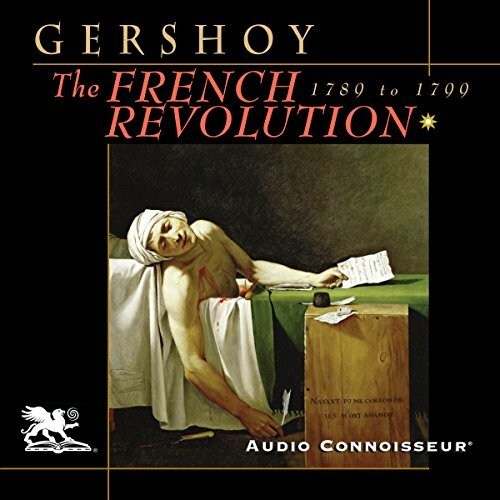 With this condensed volume, listeners will more easily be able to put the French Revolution into greater perspective and gain real insight into its causes and devastating effects. Learn what role famous men like Robespierre, Danton, and Marat played in these momentous events. Discover how the young Napoleon Bonaparte came to the aid of the revolutionaries...and then betrayed them. The French Revolution was one of the most important events in European history. Like a searing thunderbolt, it separates Medieval Europe from Modern Europe. And after more than 200 years, the revolution continues to affect us today.